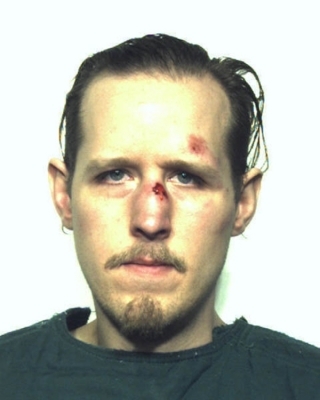 Accused state trooper killer Eric Frein entered no plea at a preliminary arraignment this morning in Pike County. He is charged with first degree murder, homicide of a law enforcement officer, attempted homicide of a law enforcement officer and other charges. He appeared without an attorney. He is being held without bail. Frein was captured yesterday at the abandoned Birchwood Pocono Airpark in Tannersville, Monroe County without a struggle. The scratch seen on his face in photos was there prior to his arrest. Frein was restrained using the handcuffs of Cpl. Bryon Dickson who was shot and killed by Frein in the September 12th ambush. Some reports say that Frein has confessed to that murder and the wounding of Tpr. Alex Douglass. The Pike County District Attorney intends to seek the death penalty. Happy Halloween! Have you listened to our Halloween Radio station yet? We have the perfect Halloween playlist in Philly! It's great for Halloween parties at home, at work, out on the town, or while the kids are trick-or-treating at your door. It'll be running through out this weekend for all of your creepy, crawly plans. Hear non-stop musical tricks and treats - the perfect soundtrack for the ghoulish season! The spooktacular Halloween playlist includes The Monster Mash, Ghostbusters, Thriller, Spooky, Rocky Horror Picture Show, Alice Cooper and more! Listen Now! The PHL Live Center Stage Showcase round continues tonight at Enon Tabernacle Baptist Church. The unique music festival/competition launched by Councilman-at-large David Oh is searching for the best talent in the Philadelphia area. In August and September artists/musicians/bands submitted their applications in one of 10 different genres from country to classical and rock to r&b. Judges chose 5 finalists in each category. Now the finalists are performing at venues across the city over the next two weeks in front of the judges and the crowds for a chance to win great prizes. 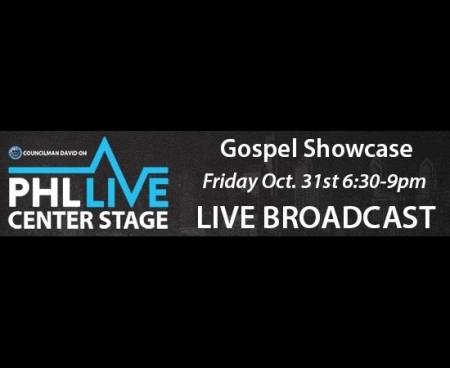 Tonight is the Gospel showcase. You can hear every showcase broadcast live here on iradiophilly.